REMEMBER THE LADIES is a call to responsibility and duty. 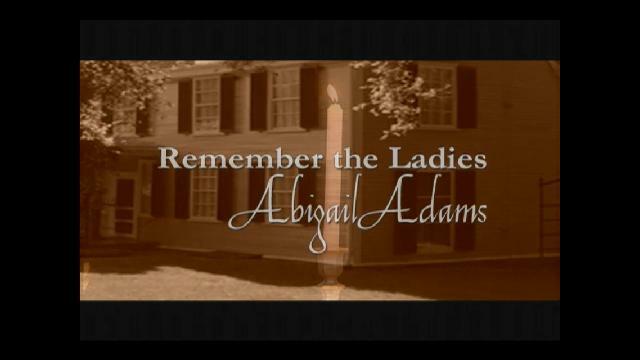 In it, Abigail Adams recounts her rich and varied life – including the episode of admonishing John to “remember the Ladies” while drafting the country’s new laws and threatening to foment a rebellion if the women are neglected. A feisty, resourceful and determined woman, Abigail cared for the family’s children, farm and finances while John was pre-occupied with the forming and survival of the new United States. Despite being separated for nearly a decade, theirs was one of the most steadfast and romantic relationships of the era.